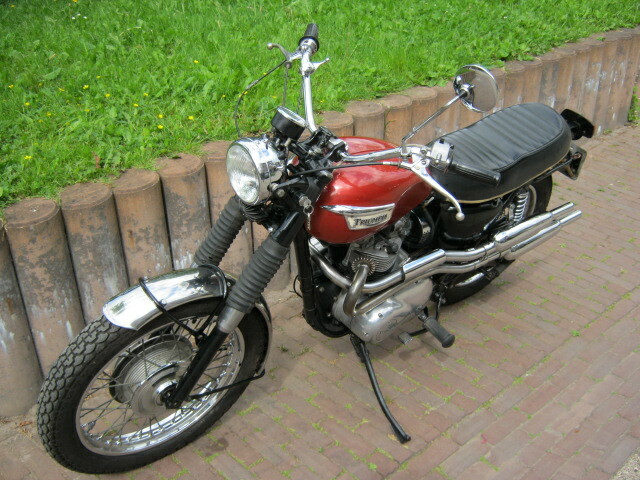 T100C Trophy in original unrestored condition, some years ago the cylinderhead was rebuilt and prepared for leadfree fuel. Matching frame- and enginenumbers and Dutch registration. 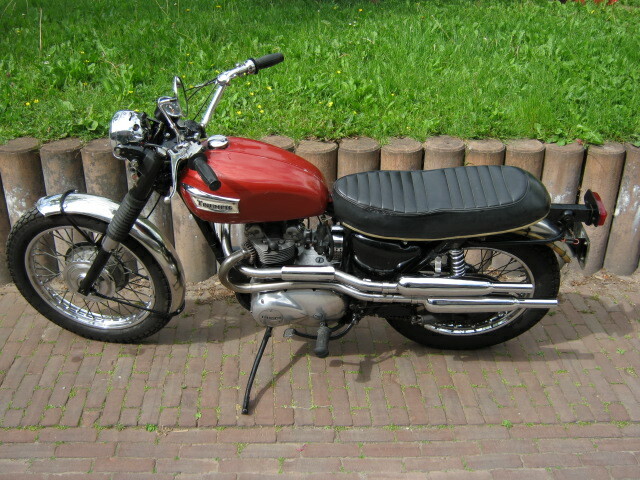 A T100 is a very nice bike to ride, because of the shorter stroke and the lighter crank the engine is very "lively" and you sit on it very tough because of the wide handlebars.